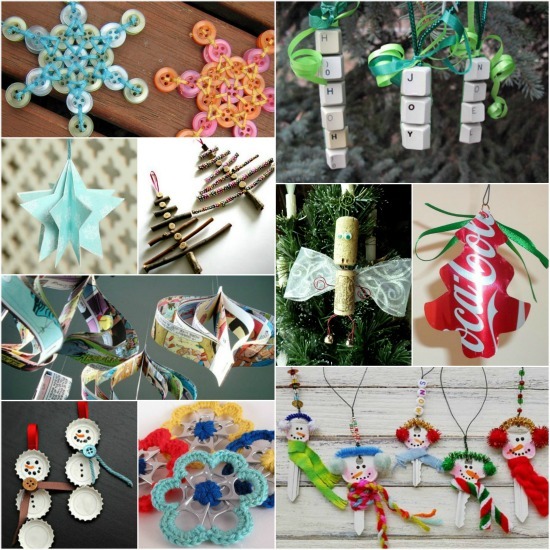 Create a holiday tree ornament using recycled materials like paper/cardboard, plastic, or metal. Fill out the entry form found here, or pick one up at your local public library. Attach an ornament tag to your submission. 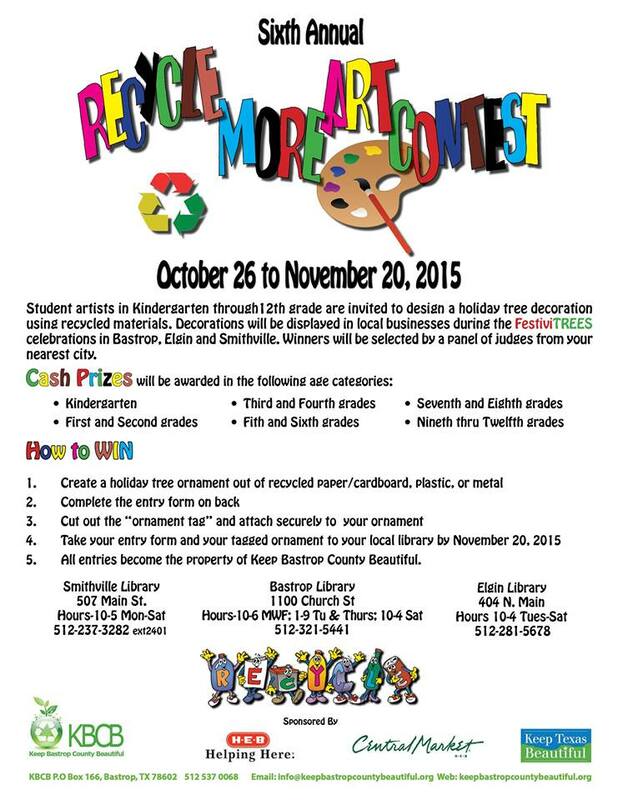 Turn in your ornament submission and entry form to either the Bastrop, Elgin, or Smithville Public Library now through Nov. 20th. All entries become the property of Keep Bastrop County Beautiful. Winners will be selected by a panel of judges from your nearest city. There are cash prizes for the 1st, 2nd, and 3rd place entries in each age group (Kindergarten, 1st-2nd grade, 3rd-4th grade, 5th-6th, 7th-8th, 9th-12th grade), and each of the 1st place winners from Bastrop, Cedar Creek, Elgin, and Smithville High Schools will receive a Kindle Fire HD! For more information about the contest, visit www.keepbastropcountybeautiful.org.